When it comes to the installation and maintenance of HP printers in your business, you need the process to run as smoothly as possible - and FieldEngineer is the perfect solution. Whatever you need, our expert pool of over 40,000 highly-qualified engineers in and around 180 countries are sure to be able to help. 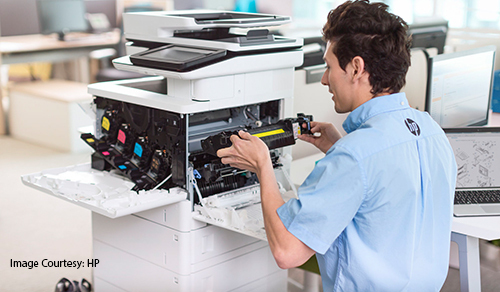 FieldEngineer allows you to find the right printer technician for your needs, so your HP printer installation services and maintenance requirements will always be met. By choosing a freelance HP printer technician, you can benefit from a flexible approach that combines the best of both worlds: you can find the expert technician you need on an on-demand basis, without the cost and hassle of contracting a full-time professional. Our service is designed to ensure the process of contracting your freelance HP printer technician is as straightforward as possible due to our focus on ensuring all business owners feel fully in control of the process from start to finish. All you need to do is post a description of the work you need completing, and then our advanced algorithm will choose the right engineer for your specific needs. Furthermore, our platform will also help you to remain in control while the work is ongoing, thanks to worker location tracking, work order management, mobile payment options, reporting and analytics, and full worker assistance. Ready to find out more? Simply sign up to FieldEngineer and post your job specifications today - our pool of expert HP technicians are ready and waiting to provide the service your business needs!